For every season of the TV show 24, my parents have invited all of the kids plus a few of their friends over every Monday evening for a viewing party. We all eat dinner together. Then, when the show starts, all the boys (plus me) go downstairs to watch 24 while all the ladies stay upstairs and drink tea and talk. 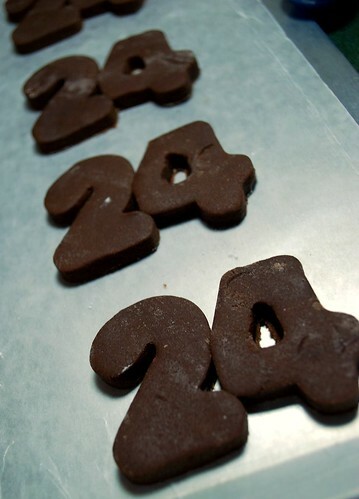 A few years ago when my wonderful husband got me my set of 101 cookie cutters, I came up with the idea to make 24 cookies – cut-outs of “2” and “4” stuck together. 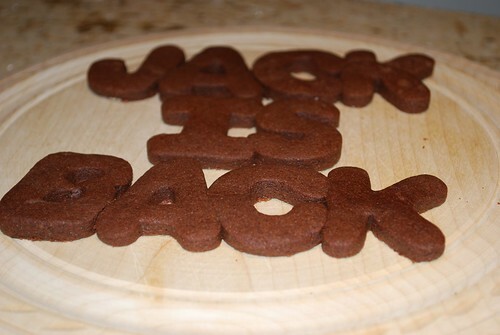 For this year’s season of 24, I wanted to try a new and different roll-out cookie recipe. I’ve done shortbread, sugar, and lemon cut-outs in seasons past, but was in search of something chocolate. I was so excited when I found this old family recipe from the writer of Smitten Kitchen. 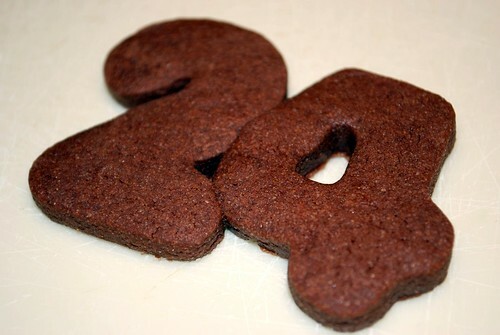 The only thing I have changed in the recip is adding a tiny bit more cocoa powder – to ensure an extra chocolatey treat! They turned out so great – everyone at the party raved about how moist, chewy, and tender they were – nice and thick like a fudgy brownie. Definitely a keeper! In a medium bowl, mix together flour, salt and baking powder and set aside. 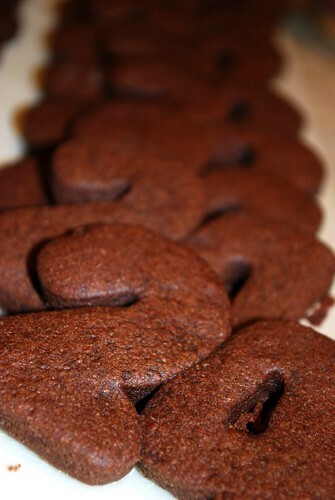 In an electric mixer bowl, blend butter, sugar, eggs, vanilla and cocoa. Gradually add the dry ingredients, mix at medium speed until dough is smooth. Wrap the dough in plastic and chill for at least an hour. Preheat oven at 350 degrees. Roll out the dough on a lightly floured surface until it is approximately 1/4 inch thick. Cut into desired shapes. Bake on a parchment-lined baking sheet for 8 to 11 minutes until the edges are firm and the centers are slightly soft and puffed. 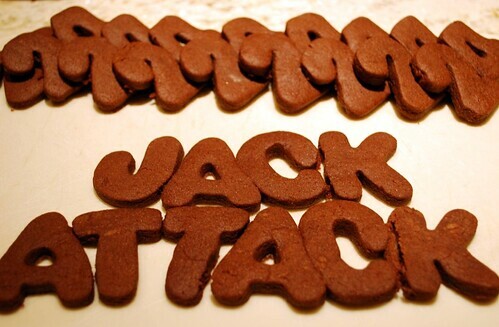 Enjoy with a tall glass of cold milk and a hot dose of Jack Bauer!! !